For as long as I can remember I have hated my skin. It’s quite oily in areas but then also dry in areas. Which makes buying products really hard. I also get quite a few spots which can be really sore. Having skin like this really gets me down I constantly feel like I just want to hide away. Yes granted it may not look that bad to you but when I look in the mirror all I can see are my imperfections. I also now have to deal with the fact I have very dark circles around my eyes these are due to lack of sleep and also a problem most women in my family have to deal with. So for the last month I have been trying some Nakin products to see if I could combat my bad skin and get me feeling better about myself. 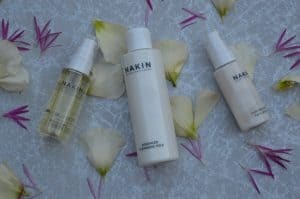 I have been trying three different Nakin face products. I will go into more detail below about these. Nakin if I’m being honest wasn’t a brand I had heard or used before . So like with all brands I work with I had a look into them to see what they were all about. 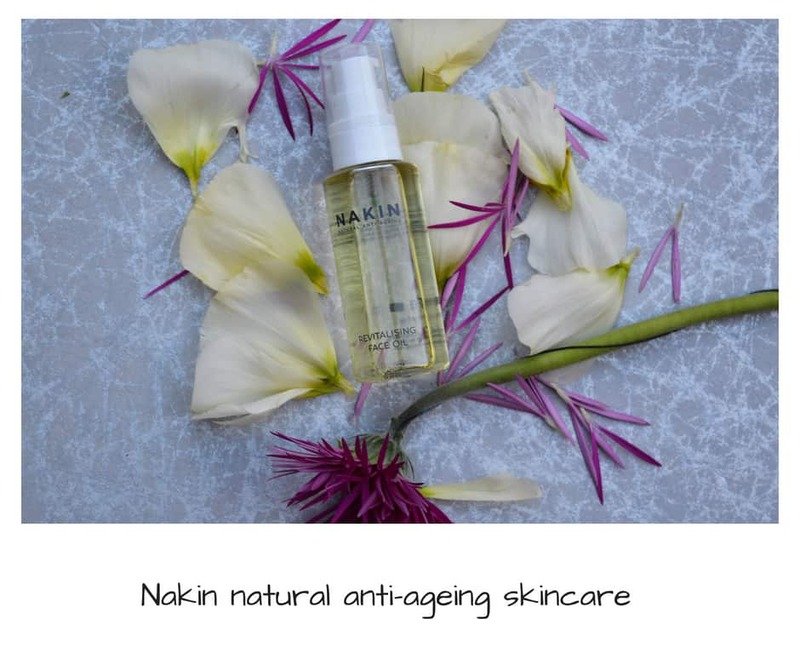 Nakin are a British brand that produce natural any-ageing skin care. They say their products are modern fusion of science and nature which I just love . 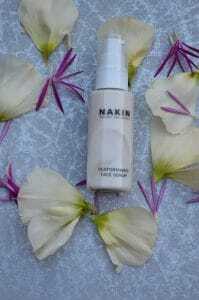 Nakin are also proud be a British brand that are dedicated to producing outstanding natural beauty products. Their products are even produced in a green factory in the UK. 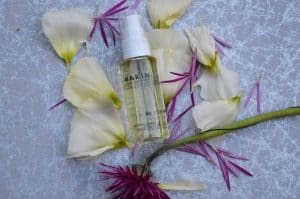 Nakin are an ethical brand and all their product meet the Leaping Bunny cruelty free criteria. They never test on animals or the ingredients used in the products. The ingredients found in their products are sourced from sustainable sources. Now if your like me all their information has got you intrigued and you want to actually know if the products work. Well I was sent Three of their products to try. I have been using them for just over a month now and I’m so happy with my skin at the moment. It’s the best it has been in ages. It looks so hydrated. I have even stopped using a foundation and have started using a tinted moisturiser. Which is a big thing for me. Normally my foundation is like my mask hiding my skin from the world. Well not any more below I will show you all three of the products I tried and what my thoughts were of them. Now this one really got me intrigued. I have used many different cleaning products in the past but never a cleansing milk. So I really didn’t know what to think of this product. The cleansing milk is formulated with an active blend of oils. Hyaluronic Acid. Pomegranate and Seaweed extract are used to even the skin tone which assists cell renewal. So you simply apply a small amount over your face and neck using a cotton pad. It’s really light on the skin and is easy to remove. My skin feels so amazing afterwards and so soft to touch. I do also use this on a cotton wool pad to remove my makeup on an evening. I find it works really well. Now I have never used a face serum. Like I said at the start 2018 is the year I start to take better care of my skin. So I was interested in seeing if a face serum would be something that would help me transform my skin. From red, spotty and sore to clear healthier looking skin. 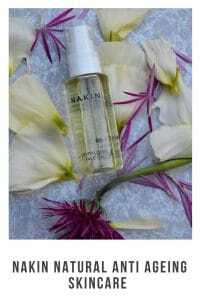 Now they say that the face serum is meant to improve the skins elasticity and smooth fine lines and wrinkles. Thanks to the children I have many of these. The product itself feels like a gel and smells fresh. When I say fresh it smells natural like you know there are no chemicals in it. The face serum is to be used after cleansing the skin. You simply put a small amount on your fingertips and rub it into the skin. I have also been using this as moistures as it’s really lightweight. With all the warm weather we have been having I have been making sure to keep my skin hydrated. With drinking more water and using the face serum twice a day my skin has been really well hydrated. It’s also great to be used before applying makeup. I like to moisture my skin before putting any makeup on my skin as I find my makeup lasts long. I think this is one of my favourite of the three products I have tried. My skin does feel smoother the wrinkles around my eyes looking less obvious. The fact that you only have to use a small amount of the products is a big bonus. One bottle will keep you going for a long time. Now the thought of putting oil on my skin didn’t really seem a good idea at the start. My skin can be very oily at times. Especially around my t zone. So I wasn’t too sure this product was going to be any good for me if I’m honest. I did however give it a try to I’m so glad I did. Again this product is meant to help with wrinkles. Which for me is great as I need all the help I can get. It also contains Argan Kernel oil which does a number of different things. The one that interested me was that fact that it’s meant to help with marks and inflammation. My skin is covered in marks from having bad skin over the years. It also gets pretty red and so I was really hopeful this would work. I use the face oil every night before I go to sleep. I put a small amount and when I say small I mean tiny. You really don’t need a lot at all. I then rub it into my neck and face. My face feels amazing afterwards and full of moisture. I wake up the next morning and my skin feels just as great ready to take on the day. My worries about it making my skin greasy quickly disappeared as I soon realised it didn’t make my skin greasy at all. It made it full of moisture but in a good way. After using this for just over a month my skin is looking less red and sore. Some of the old marks on my skin are looking less visible and over all I’m so happy with how my skin is stating to look. I also read on an online review of the product on their website that a customer used it on their cuticle and nails. So I also gave this a try so instead of washing any excess off my hand I rubbed in into my nails and cuticle My cuticle are really benefiting from this they are less dry and don’t spilt making them sore. Overall I’m so impressed with the Nakin products. From the ethos of their brand to the actual products. They work amazingly well. Yes they may be a little more than what you normal spend on skin care products but they are so worth it. They will last you for ages. I have been using these three products for just over a month I have hardly used any of the products. Even the face serum that I use at least twice a day. I’m even looking at buying one of their eye creams which is meant to be amazing for dark circles under the eyes. So when I do I will let you know how I get on. If you want to know more about this amazing brand and their products then head over to their website. With drinking more water and using an organic face serum twice a day my skin has been really well hydrated. It’s also great to be used before applying makeup. I like to moisture my skin before putting any makeup on my skin as I find my makeup lasts long.